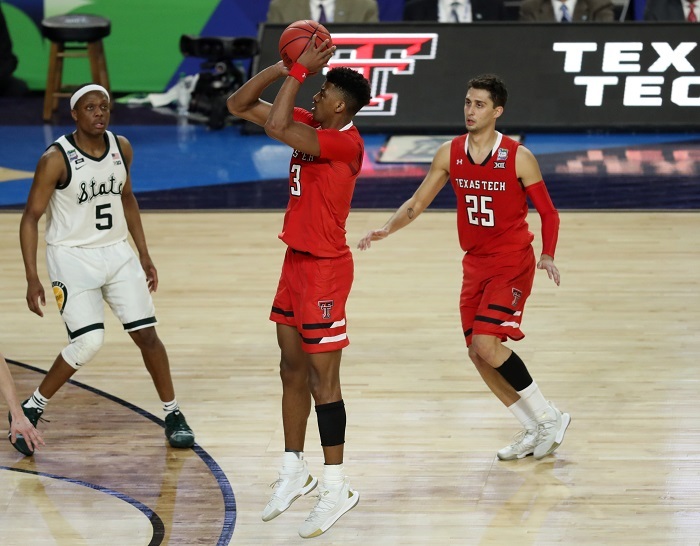 For most of Saturday’s national semifinal game with Michigan State, Texas Tech’s Jarrett Culver was not himself. Turns out, wasn’t a problem. 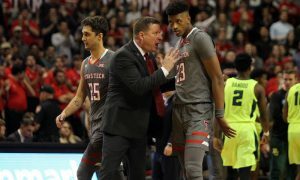 The Red Raiders (31-6) defeated the Michigan State Spartans (32-7), 61-51, and it was more because of the growth of players like Matt Mooney, Tariq Owens, Davide Moretti, Brandone Francis and stifling defense than Culver, the Big 12 Player of the Year and Second-Team All-American. Not that Culver didn’t have his moments. He did finish with 10 points, and he scored 9 of those in the final three minutes, with this dagger of a 3-pointer essentially clinching the win for the Red Raiders, putting them up 7 points with 58 seconds left. But the Red Raiders wouldn’t have gotten there without Mooney, Owens, Moretti, Francis, et al. This game was the knockdown, drag-out we all expected. Two exceptional defensive teams played like it, especially in the first half of the contest. At halftime the two teams combined for as many field goals as turnovers. Tech had a slim lead. Things changed in the second half. The Spartans paid an exceptional amount of attention to Culver, and for good reason. But as Culver grew frustrated with his offensive role, his attention to his own defense never waned. Mooney matched his season-high of 22 points. He shot 4-of-8 from the 3-point line. There were times in the second half where he was Texas Tech’s offense. Mooney had a run of nine straight points for himself and helped fuel Texas Tech’s 9-of-12 shooting to start the second half. It all started to pile up and by the middle of the second half the Red Raiders were up 13. This, despite Culver only having 1 point at the time and being in foul trouble. Moretti had 5 points, including a big 3-pointer early in the second half. Francis had a terrific game off the bench, scoring 9 points. Kyler Edwards even pitched in 6 points. But Michigan State wouldn’t die. This is an experienced program with eight Final Four appearances. The Spartans found a way to trim down the lead, thanks to their ability to get to the free-throw line. The Spartans were 14-of-18 from the line and most of that came in the second half. As the Spartans made free throws and the Red Raiders endured a near-5 minute scoring drought, the Spartans cut the Red Raiders’ lead to just 1 point inside of 3 minutes to play. Faced with losing the lead, Texas Tech responded. Culver hit a floater with 2:38 left to push the lead back to three. The Spartans lost their mojo on offense. Cassius Winston (16 points, but only 2 assists), committed an offensive foul and Matt McQuaid (12 points) missed a 3-pointer. Culver drew a foul on a drive to the basket, made a free throw and made it a 4-point game with 1:32 left. Then, Norense Odiase — the senior who had 9 rebounds and finally scored his only two points on free throws in the final seconds — stole the ball at the junction area to set up Culver’s dagger-like 3-pointer. Texas Tech finished on a 9-0 run to end the game, as clutch as it gets in a game like that. The Red Raiders also held the Spartans to a season-low 51 points and 32 percent shooting. 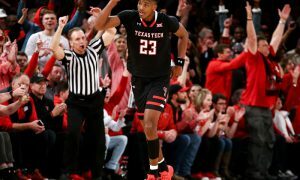 Texas Tech will face Virginia in the national championship game on Monday, trying to become just the second Texas-based university to win the national championship. UT-El Paso (then Texas Western) won the title in 1966. 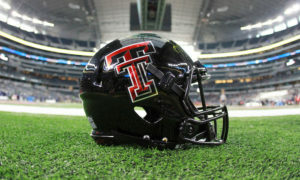 I’m guessing Texas Tech’s biggest fan will be back on Monday night?